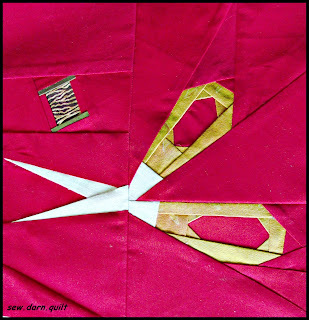 to QUIET PLAY'S PAPER PIECING PARTY ! 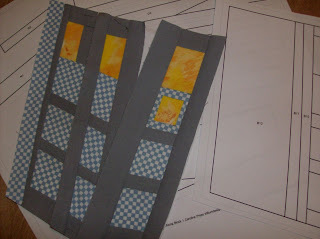 TARDIS for the Dr. Who QAL with Whims and Fancies . Don't you love the way it's hurdling through the time space continuim? I'm still having a problem with matching up some angles. Thank you Kristy for this fun opportunity to "play". Pop on over to Quiet Play and see what the rest of the group is up to or better yet, join us! Fun blocks!! Your Dr. Who block definitely looks like it is hurdle ing through the time space continuum!! 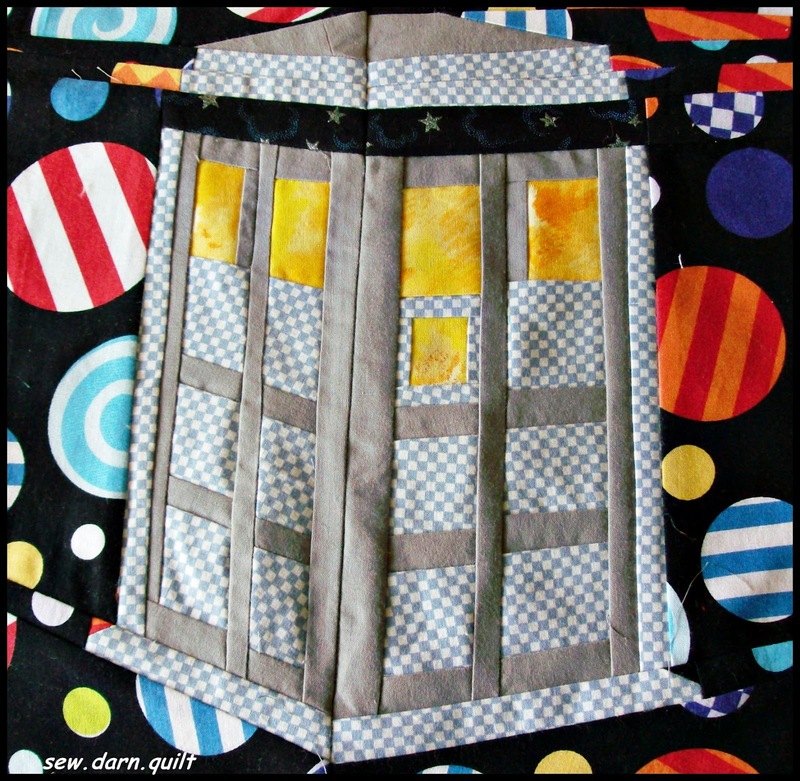 Love your Dr Who block! What perfect background fabric for it! Your scissors block is looking just great too! Love the tardis and your right the background is perfect! 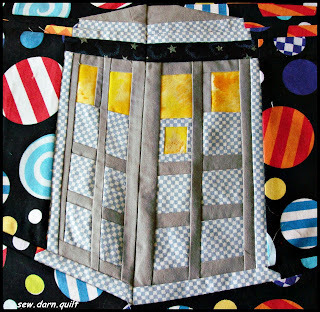 I really love the "time space continuum" fabric :) Nice job! I like both of your bold backgrounds. 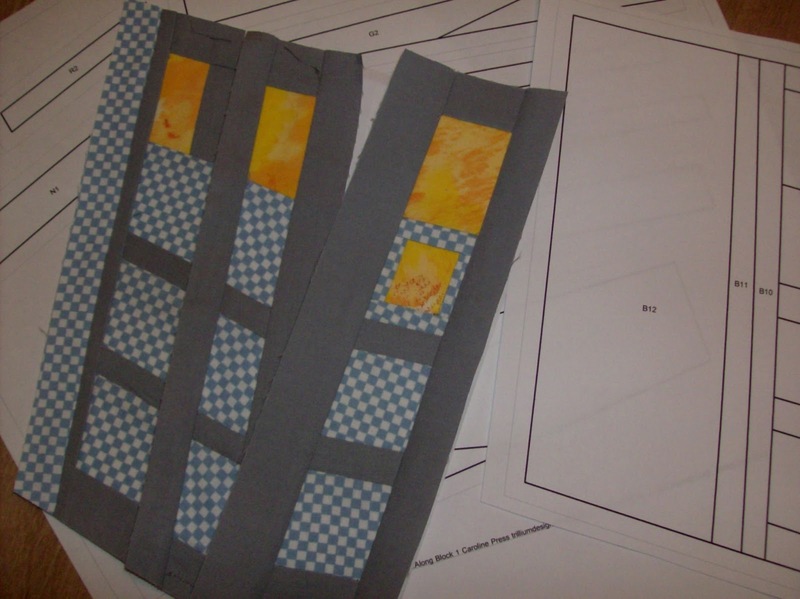 Well done to get two blocks finished. Indeed! These pieces are looking superb I got many interesting things from here thanks and keep up the good work. Ooooh! I like your cute little bluebird, nice job and the Pink background on the scissors...very cute!